Well you have come to the right place with the Tenerife Diving Academy . There are a wide variety of courses available for you to choose from. The PADI Advanced Open Water Diver course helps you get more out of diving by introducing you to new types of scuba diving adventures. It’s a great opportunity to work with one of our instructors, at the Tenerife Diving Academy , to build your scuba diving skills and gain more confidence. Click here for more details. Want a “Challenging” and “Rewarding” Course? 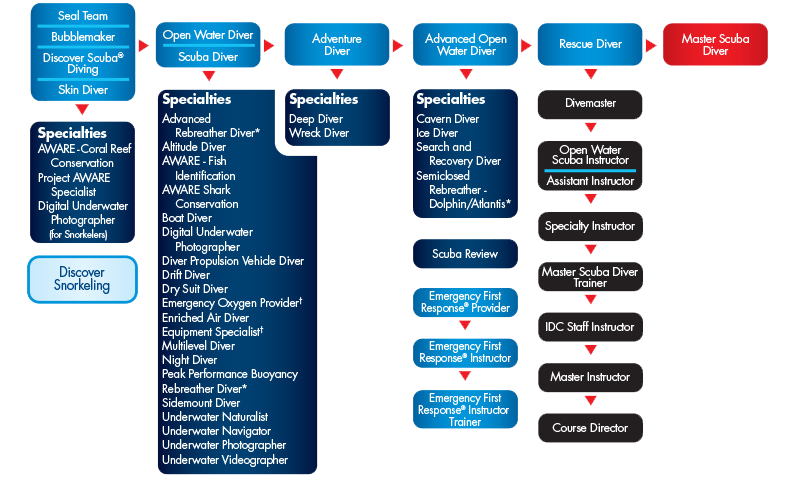 This is the best way to describe the PADI Rescue Diver course. With the Tenerife Diving Academy you will be building upon what you’ve already learned, this course expands on what you already know about how to prevent problems, and how to manage them if they occur.